ENRON – From Pipelines to Pipe Dreams Custom Research Papers. 2 pages essay answering the following questions ( 2 questions) from the essays of Robert Jackall (pages: 184,185,186,187,192,193), and James Weber (193, 194, 195,200,201)The readings are attached in the PDF file. No need for introduction, just begin with your insights. 1) What is the primary ethical concern of the essay’s author? 2) Define the author’s key words or ideas discussed in the essay using her/his view. Also, try to find a connection-if there is none say so – about the reading “ENRON-from Pipelines to Pipe Dreams” (it follows) in few sentences. Enron was created through the merger of inter-north incorporated and Houston Natural Gas Corporation in 1985. At the time there was a frenzy of takeover deals. An investor might incur a lot of debt to capture a company. The company might defensively buy back its stock at a premium, or, after a takeover, the investor would sell off its assets rather than allow it to continue in operation. One reaction by companies was to go into debt to become less attractive targets. In this case, inter north bought out Houston at top dollar and then found it had to service a huge debt. One of the new Enron’s first moves was to raid worker retirement funds. In 1987 Enron survived a scandal when its New York bank discovered that executives were moving funds to accrue them in one-revenue-year rather than another. In a meeting of the audit committee, Kenneth lay allegedly said, I have decided we are not going to discharge the people involved in this because the company needs those earnings. As the government deregulated the oil and gas industry starting in the mid-80s, Enron moved from being an energy supplier to an energy broker. In the early 1990s Jeff Skilling joined the company to run a subsidiary called the gas bank, which bought resources while they were still in the ground, pooled them, and then sold future interests to consumers. The contracts were essentially long term, which meant that under an aggressive accounting method (called mark to market) the revenues could be accounted for immediately although they would come in over time, this lowered the paper debt but also acted as an incentive to create ever more deals. In 1991 Fastow came to Skilling’s attention by creating partnerships that spread the risk and hid debt. These “special purpose vehicles” allowed Enron to borrow from the bank and pay producers for a stake in their current reserves. These partnerships were especially lucrative if the producers were paid in Enron stock rather than cash a schemee that would work well as long as the stock held its value. In the heady days of dot.com firms, ideas mattered as much as assets and fortune magazine picked Enron as one of its most innovative companies in smrtivs snf in 2001 said that Enron was one of its ten stocks to last a decade. Enron expanded its deal making from natural resources to areas as diverse as bandwidth and advertising. By 1999 fast had devised schemes where subsidiaries of Enron were entering into partnerships. Enron was shifting its debt onto these partnerships add counting the subsidiary’s liability as and asset. It was as if they were using credit cards that were issued by a bank they already owned. The accounts (Arthur Andersen) and their law firm (Vinson & Elkins) maintain that they were unaware of the close ties of Enron and the partnerships or that the deals were backed mainly by Enron stock. In 2001 lay had stepped down and Skilling was CEO of Enron. The company was the 7 largest in America. However, the technology bubble had burst, and analysts started asking more questions. On august 14 Skilling quit after 14 months in his position, citing personal reasons. Lay returned to the helm. And accounting vice president, Sharon Watkins, wrote an anonymous memo directly to lay two days after Skilling’s resignation outlining questions about some of the partnership schemes, saying “I am incredibly nervous that we will implode in a wave of Enron’s accounting scandals” later she arranged a meeting with lay who asked Enron’s own lawyers to look into her concerns. They found no illegalities. On December 2, 2001, Enron filed for chapter 11; bankruptcy relief. In the preceding months, Skilling, lay, and Watkins had all sold Enron stock. Watkins testified in congress, countering some of Skilling’s claims that he was not hiding debt but merely hedging the company from risk. She was named one of time magazine’s persons of the year for whistle blowing and subsequently she wrote a book on Enron. Lay resigned on January 23, 2002, and subsequently refuse to testify to congress, invoking his 5th amendment rights by that time Enron shares were trading at 67 cents, compared to $90.75 in august 2000. Andersen reported to congress that it had destroyed most of this Enron related documentation. Two months later, Andersen one of the country’s most prestigious accounting firms, was indicted on criminal charges, shortly afterward, it surrendered its license to practice auditing, effectively ending its business. The president appointed a corporate fraud task force in 2002 that oversaw work by the justice department. By July 2004, they had indicted all of Enron’s top brass including Fastow Skilling and lay on counts ranging from conspiracy, securities fraud, and bank fraud. Deputy attorney general James Comey of the justice department said that the indictments served to restore confidence in the markets and showed that no one and no fraudulent scheme were beyond the reach of the rule of law. 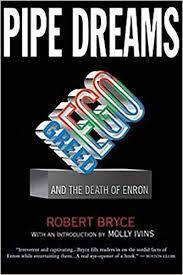 The Corporate Governance Lessons of Enron writes that one in four auditors believe that Enron was a business failure. Business Ethics and Reform research papers look at companies such as AIG, Enron and WorldCom for examples of the need for ethical reform in business. Conflict of Interest and Corporate Ethics Research Papers- Ethical considerations in corporate America are under close scrutiny from the public eye ever since Enron and other corporations have clearly illustrated that they can't be trusted. Ethical Companies - examines the effectiveness of ethical businesses, and it also delves into companies that have unethical practices. Paper Masters writes custom research papers on ENRON – From Pipelines to Pipe Dreams and what led to the creation of Enron.